I've been waiting for Chinese since DuoLingo started and yesterday I found out about it and started right away, I was super excited but feel a bit let down. As an HSK3 Chinese speaker, I'm not finding this useful at all since nowhere does it give you the meaning of the words you are learning. I feel I made it to level 4 just because I already know the words so far,. Otherwise it feels like I am learning characters and sounds but nowhere does it teach you the meaning of the words you're learning. Also, since the characters are mostly embedded in images, I can't even copy paste them and look them up on a dictionary. So how exactly am I supposed to learn anything from this? Chinese and Japanese are very different from what Duolingo is used to teach, so I think we should give it time. Every course is constantly improving( a few days ago there was an update in the Dutch course) , so the course will eventually get better. About the problem with characters: I personally use Chrome, so I downloaded Perapera Chinese Popup Dictionary. It's a very useful app, it shows you the meaning of each character with its pronunciation, so it's helping me a lot with the Japanese and Chinese course here. Also, there are plenty of courses in Memrise for any level of Mandarin. I also find Hello Chinese to be quite useful alongside Duolingo. Yeah, I finished the whole series on Youtube. I'd say you know, because u have like 20 languages!!!!!!!!!!!!!!!!!!!!!!!!!!!!!!! Once you get to the sentences in a unit, hover over the character for the meaning. Also several Duolingo Chinese Tinycard sets have appeared for practicing vocabulary (in progress; i.e., don't cover many units yet). To look up words in Google Translate, before I begin a unit, I copy them from the unit page where the new vocabulary is listed. Also in the lesson, if hover isn't available I can usually copy the characters and look them up in Google Translate. So far I've completed Duolingo Irish, Norwegian and Turkish from scratch and I find the method motivating and effective. Something that keeps you moving forward, day after day, right to the final unit. I have tapped into many other resources beyond Duolingo, for any language I've explored. 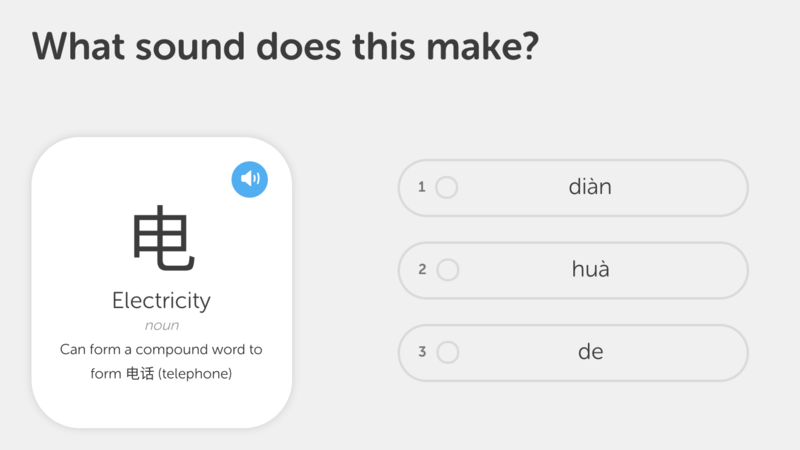 In addition to Duolingo I'm currently using HelloChinese to practice stroke order and glossika for sentence immersion. I'm totally new to Chinese and any and all suggestions are welcome. In several of the comments that I've read above, people are saying that they hover the mouse over the Chinese character, and the English meaning appears, and I also saw that demonstrated in the Youtube video link. However, that doesn't happen on mine. There is no English meaning shown, and yet the student is expected to translate for the answers. 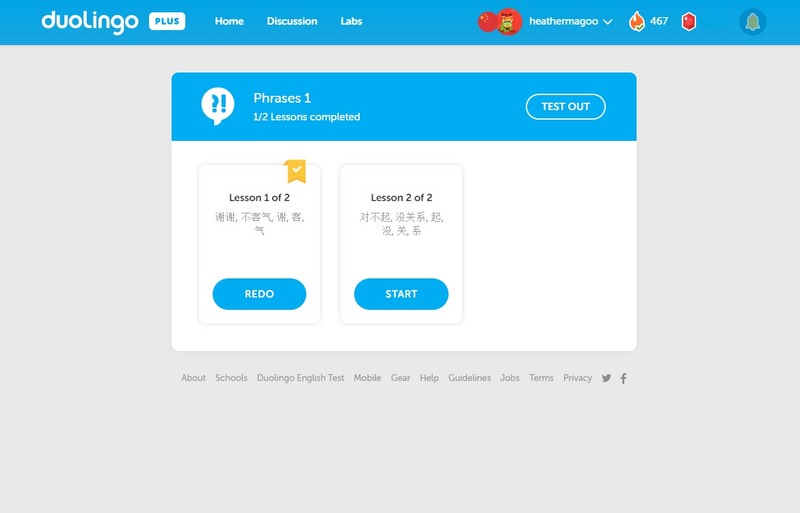 A person shouldn't have to rely on other sources, or apps, to be able to use Duolingo's Chinese program. Here's what I see w/desktop Windows 10. When I get to the sentences, I can hover and the character meanings display. But in the beginning of a lesson, when the characters are introduced, no meaning is given. I think that's what Ben_Portelli is pointing out. It may be because you are testing out skills. i open google translate on another tab so whenever the sentences appear i will copy paste what i need to the field and get their translations and pinyin. I feel I've been learning with the Chinese course here, but it has required a large amount of outside research. The course does a poor job of telling you the definitions of words, leaving you to look them up on Wiktionary. I've been having luck making vocabulary lists arranged by type of word (e.g. 女儿，学生，爸爸 under "people"; 中国，台湾，加拿大 under "countries," and so on), and referencing that when I need to. It's not ideal that Duolingo doesn't deal well with the biggest challenge of learning Mandarin—the memorization exercise—but I think I'm making slow and steady progress and am grateful to the Duolingo course for that. The point is, first of all: The current Chinese course is a beta version. So, there can be more in the future. If you want to try something similar with more complexity, have a try of the app Hello Chinese, I recommend you not to subscribe there in the beginning. I by myself do regard Duolingo as a complementary thing when it comes to learning any language. And the capacity of Duolingo should not be underestimated: You learn at least many of your words of HSK3 integrated in realistic contexts. Duolingo teaches patterns of comparison, past and future tense. For sure, the app Duolingo only by itself does not teach you about radicals or stroke orders, but that already can be found within other sources. I warmly recommend you the app PLECO, the greatest dictionary between English and Chinese, which probably exists. the chinese course will not allow me move past it and constantly reverts to the beginning. Duolingo could at least get hings right before releasing this. I'm new to the language, and I feel like I am learning things; albeit slowly. On my laptop, I hover my mouse over the characters, and it shows me the meaning of the words (particularly on the translating sentences exercises). Also, on the bottom half of the pages, it gives an explanation of the mechanics of the language. I have noticed some quirks with Chinese and other languages on Duolingo. This website could do better, but I feel it's working. I was very disappointed when I first tried this course. It's almost as if you're expected to know some Chinese before you begin. I struggle with numbers and it wasn't this course that taught me, it was the use of other, more beginner-friendly resources and tools. However for me, Duolingo has been a very useful revision tool and I find it more useful as my Chinese skills improve. I am very happy that this course exists and I hope it will improve soon. It's concerning that as a HSK3 Chinese speaker you still do not find the course to be useful. Duolingo has really no knowledge about languages and the process by which people learn languages. When you look in detail at how all the courses are designed, and all the quirkiness of the platform it becomes apparent they have no idea on how to design language courses. It can be seen in other languages too but since Chinese and Japanese requires some extra thought, all the linguistic incompetence becomes glaringly obvious. I studied Chinese a bit in different settings and methods. 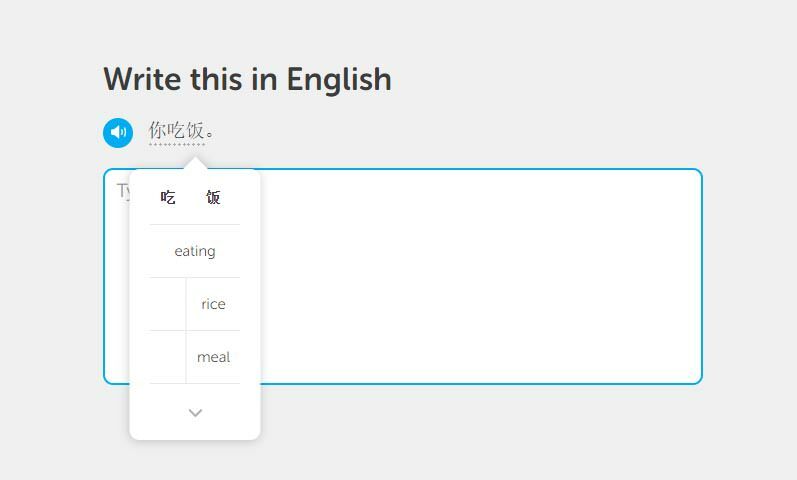 None was so badly designed as the Chinese on Duolingo. For example, there is an exercise where you have to match pairs: character-phoneme, but when you click on he character it says the phoneme so it really has no educational value - it just tells you the answer right away. To design such idiotic exercise mechanic you really have to have no clue about language learning process. I agree. It basically spoon feeds you the sound for each character - so there's no challenge whatsoever. And then it never actually tells you the meaning of the new words so you're just randomly matching the sound you hear to the pinyin with no comprehension of what the character means and no memory needed for remembering the sound, since the speaker tells you the sound. It's not until near the end when it starts giving you sentences that you can hover the mouse over and see what the character means. I'm around HSK 3 so I already know most of the characters I'm seeing, but it still feels completely pointless - especially if I start seeing a bunch of characters I'm not familiar with. I know it doesn't make any sense! I always click on on the pinyin first then the corresponding character. That way I can actually test myself on the pronunciation of the characters. You will see the character meanings, and how they form compounds in context whilst you're learning. I found some wrong han zi (Chinese characters). Going to China for a month to learn Mandarin. Has anyone done something similar?